What do a rooster crowing, bartering, lack of sleep, a mouse, and joy in the midst of hardship have in common? All are part of the Heifer Village experience. 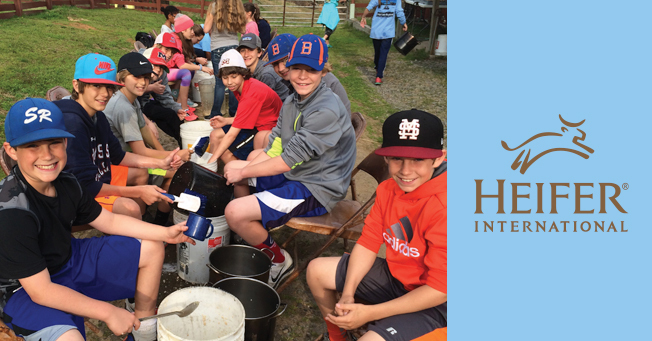 In March, sixth graders spent a night in this experiential learning setting designed to increase awareness of how hunger and poverty affect people. Student Priya Ray says she will cherish the memory forever. Shortly after providing orientation, Heifer Village staff randomly assigns students, faculty, and chaperones to a village in a poverty-stricken area of the world where they “live” for nearly 24 hours. Each village is given limited supplies and instructions for setting up camp, building fires, and making a meal. For example, one group of 14 was given a plastic tub filled with a pot, seven matches, a container of oil, and a paring knife. They then had to barter for wood to build a fire and acquire food by bartering, offering to work for food, or even stealing. Some students are randomly assigned an “injury,” “blindness,” or “pregnancy” to illustrate how those factors can affect daily life in a village. Faculty and chaperones are assigned to be either “elderly” or a “two-year old” so that students can take the lead. Priya said going into the trip, she did not expect it to be as hard as it was, even though teachers had shown a video in advance and had told students about it. She discovered it was actually difficult to acquire food and protect the food from hungry neighbors. Also, she found cooking the food a challenge with limited resources. Faculty members said the lessons learned were by far worth any discomfort experienced. They witnessed examples of empathy, finding the good in any situation, and realizing that responsibility comes with having resources. Dollar describes the journey of four young friends who attempted to live for eight weeks on $1 per day in Guatemala. 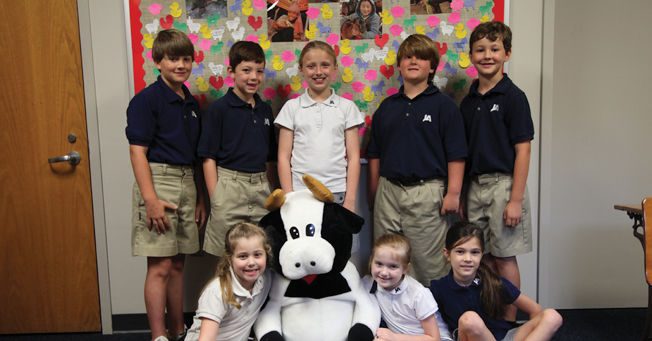 In a separate Heifer International project, students in grades one through four raised money to purchase animals to benefit families around the world. Students raised nearly $4,000 by doing chores for their family and friends, baking cookies to sell, and having lemonade stands. 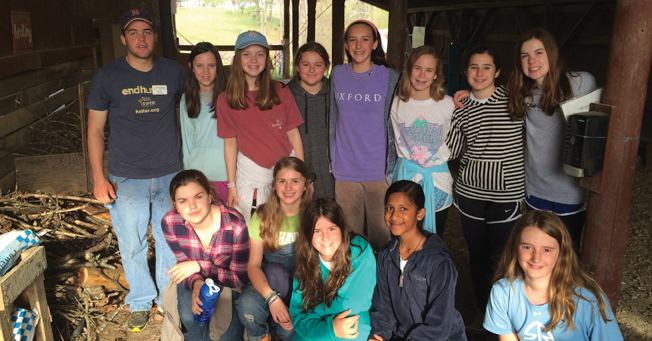 With these funds, the Lower School purchased four heifers, three water buffalo, two llamas, three goats, two trios of rabbits, two flocks of ducks, three gifts of honeybees, a sheep, a pig, a flock of chicks, and trees.